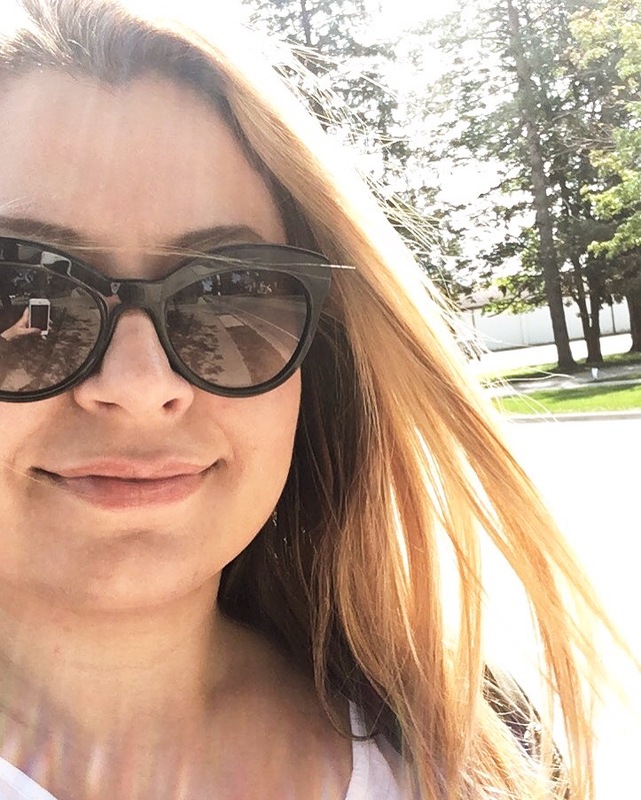 On Saturday, I spent the day down at Queen st. to discover new places and check out some of my old favorite spots. It’s been a while since I’ve been down there, so things have changed! To start the day, I realized the shoes I was wearing have been a victim of a gum attack! I had the hugest green gum stuck to the side of my heel. 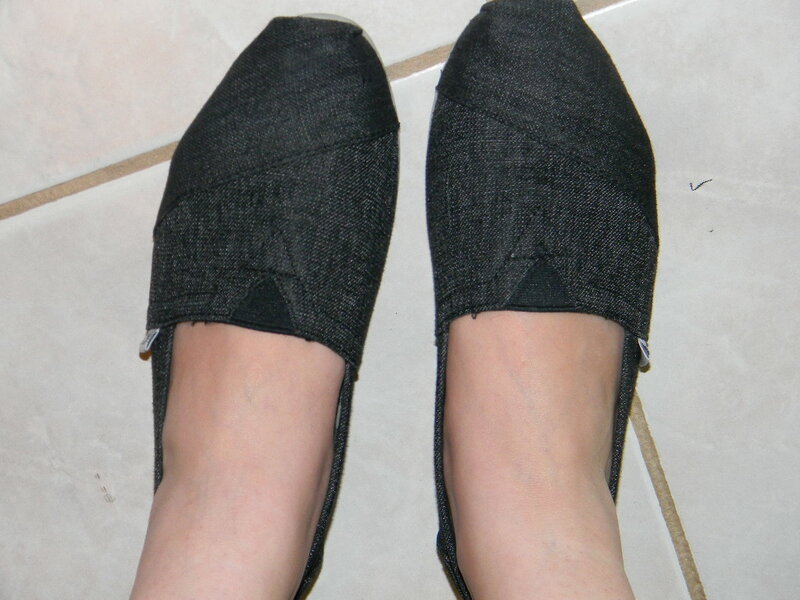 So, I ended up with a pair of new TOMS! Very comfy. Then, we were off to check out the new Urban Eatery at Eaton Center! (Check out what Toronto Life wrote about them!) The food court looks big, bright and beautiful. Hopefully they’ll be able to keep it like that for years to come. 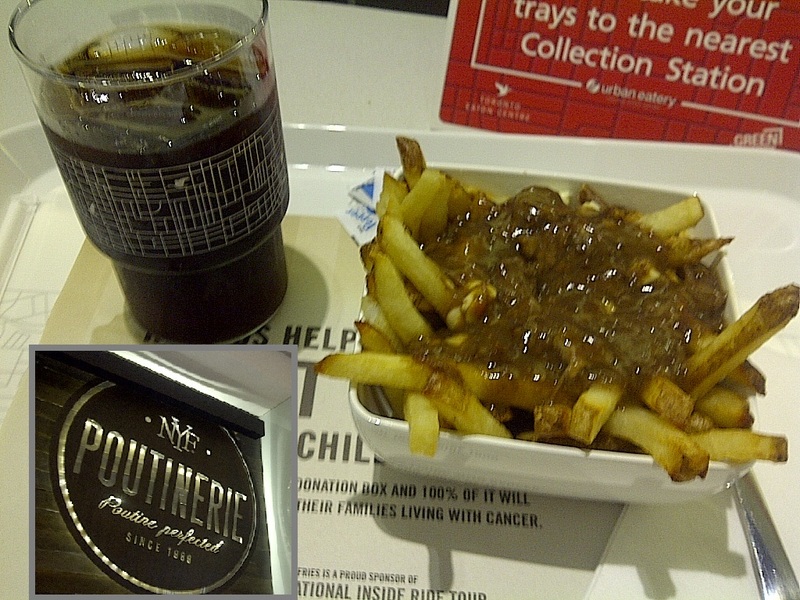 For lunch I decided to have poutine from Poutinerie/New York fries. Braised Beef poutine is SO YUMMY!!!! 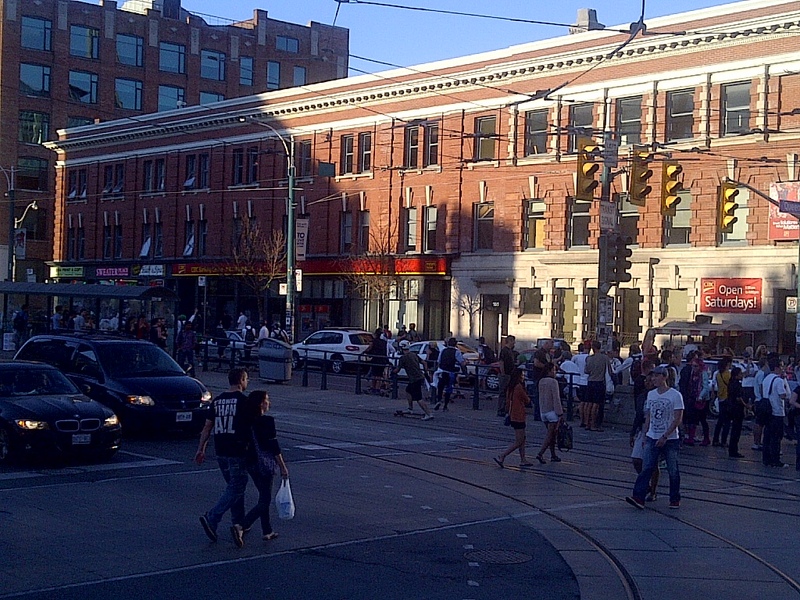 we hopped on the TTC to checkout what’s happening on the west end of Queen st. for some desserts and window shopping! 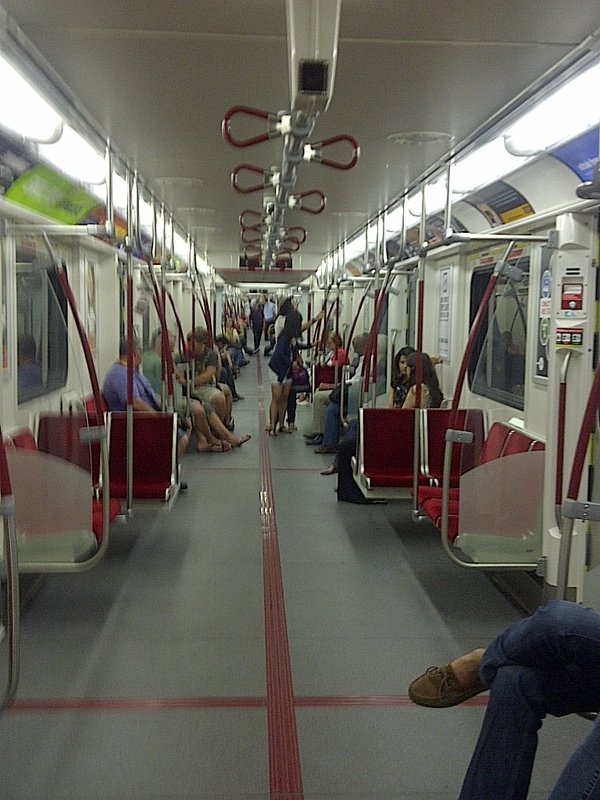 The new TTC trains are so cool, wanted to run up & down the train, just because we could. 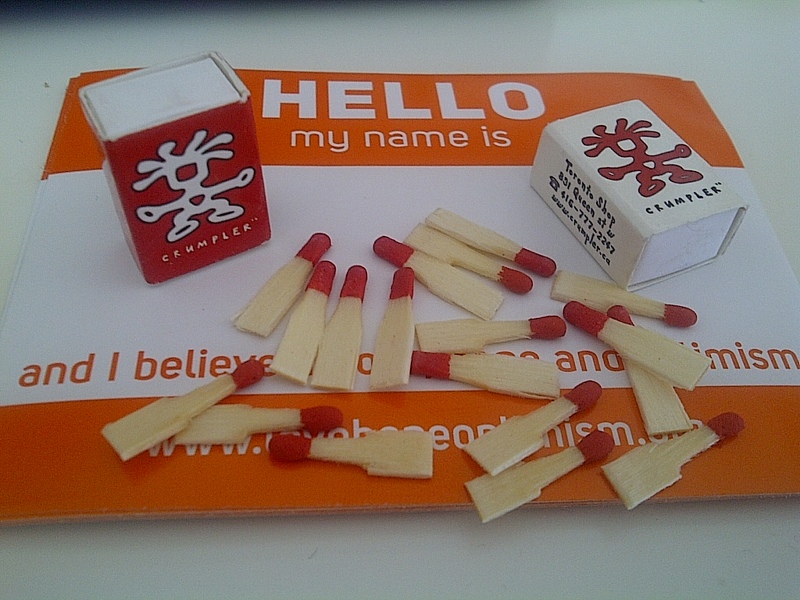 Checked these little matchstick boxes from the Crumpler store! 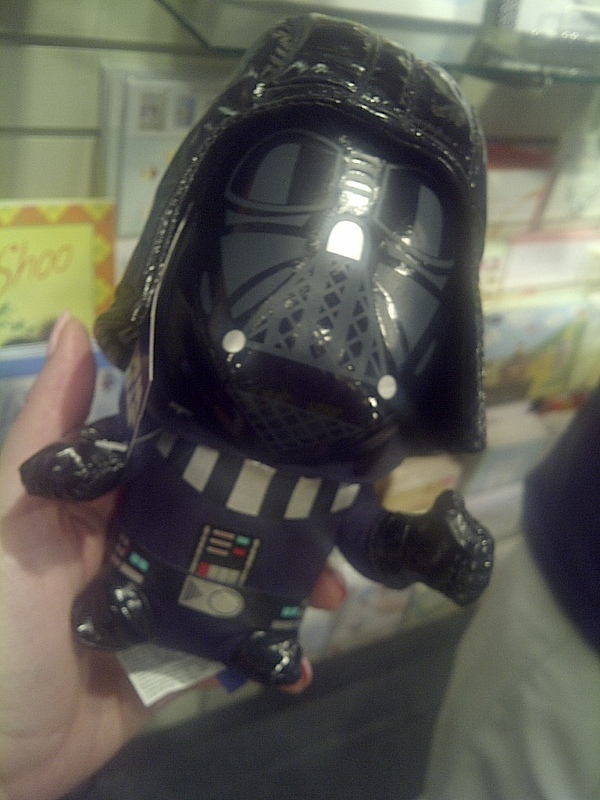 So cute and they work too! 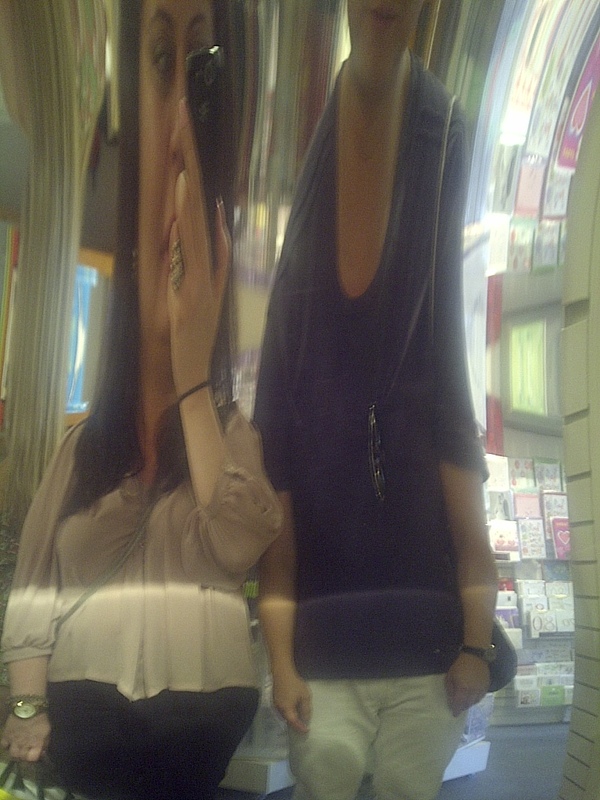 I always wanted to know how I would look like as a little person.I want one of these mirrors…It was a hoot to play with. 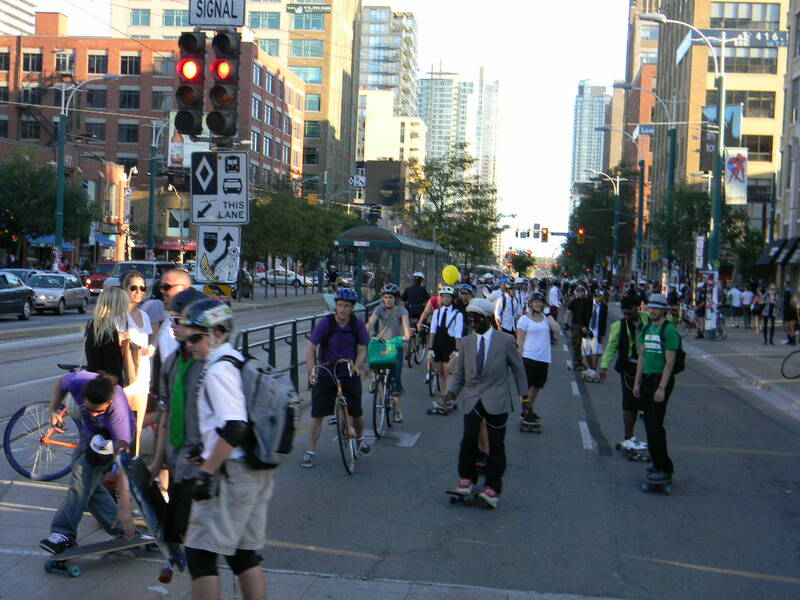 On our way back, we took the TTC rocket, and we ended up getting stuck on it for 10 mins on Spadina and Queen, thanks to few hundred kids riding on their skateboards. 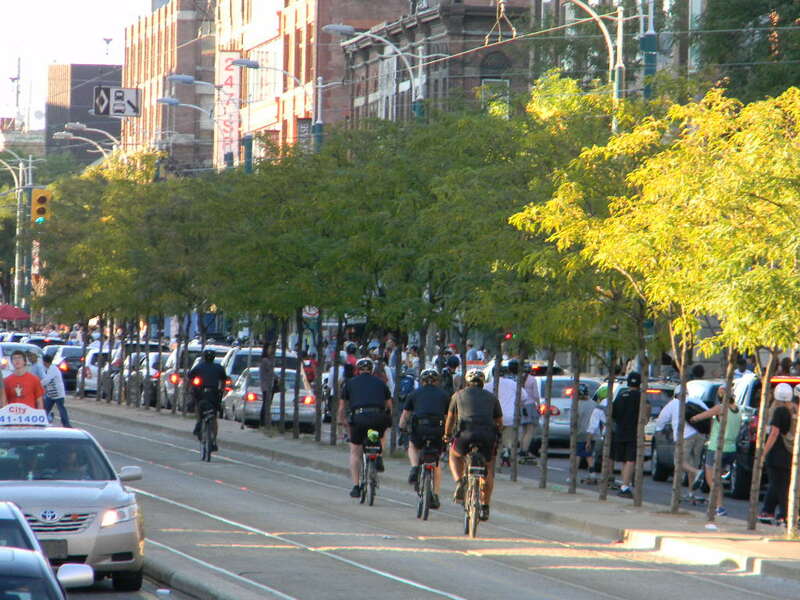 It was fun to watch how the cops on bikes keep the kids at least on one side of the road. 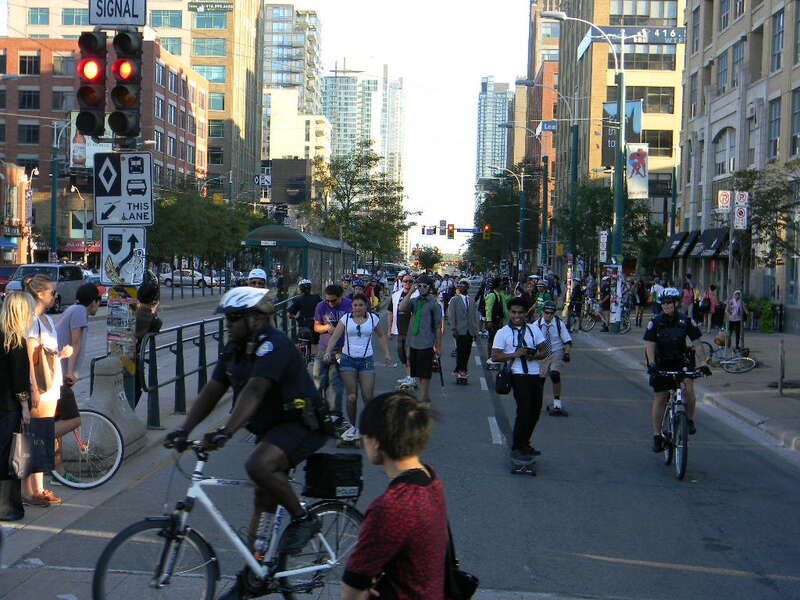 So, that was my day on Queen st. There’s so much more to see. I’m planning another outing like this for this coming weekend. Where should I go, see and eat? Give me your recommendations! I love the new trains. Cheer for modernity – hip, hip, HURRAY! Previous PostBFF = Best Friend Fred = Best Fred Finds!! !